Alstrom Syndrome is a condition that has only affected four Australians. Pheobe is now one of two living sufferers in Australia. There is no cure for this monster syndrome. Doctors within Australia can only do so much and treat each symptom as it develops. This syndrome is just a slow and painful deterioration of Phoebe's major organs. Phoebe suffers from Cardiomyopathy (a heart condition) which almost took her life at 3 months of age. But she survived this despite the doctors only giving her a 20% survival rate. 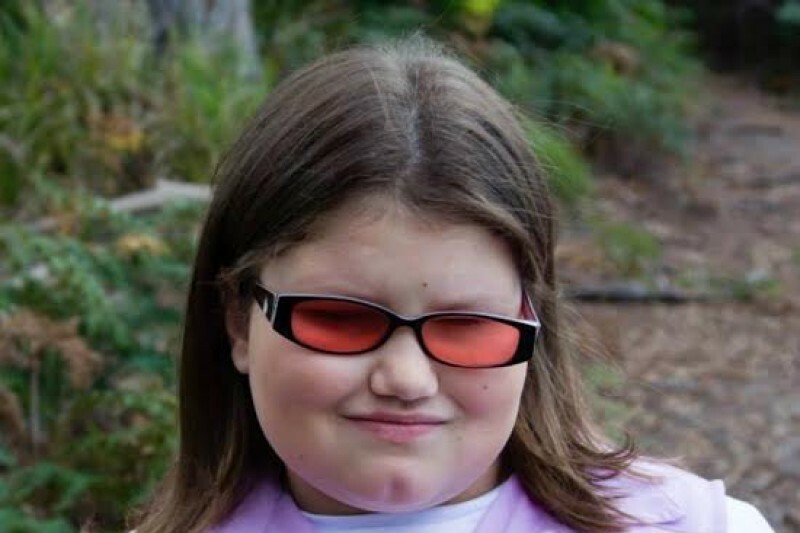 Phoebe also suffers from hearing loss, Photophobia (light sensitive), nystagmus (wobbling of the eyes), colour blindness and is legally blind which will continue to deteriorate until her complete vision is lost, along with her hearing. Other symptoms of Alstrom Syndrome that Phoebe suffers from is unexplained pain in her back, neck and legs which makes it difficult for her to walk for long periods of time, along with obesity which is leading to type 2 diabetes. She is currently Insulin resistant and takes metforman to try and control this, but her body reacts to the drug so it makes it hard to sustain. Phoebe suffers from absent seizures, which she is also on medication for, ongoing infections and sinus problems, has asthma and constant problems with her lungs. Phoebe had her tonsils and adenoids removed but problmes are still arising. She is woken up on a regular basis coughing, thowing up and choking due to the build up of excess mucus. Phoebe has also started waking a number of times through the night, as her vision gets worse, she is confused if it is morning or night. A recent visit to the doctor revealed that Phoebe is now also suffering from high blood pressure, cholesterol and triglycerides which puts added starin on her already struggling organs. Although Pheobe is a bright, funny little girl with a BIG attitude, she suffers from developments and global delay. Phoebe has a "one on one" carer/aid at school and we are all learning Braille for when Phoebe loses her sight completely. Phoebe is at the age where she is noticing she is different and life isnt so fair on her which she attends counselling and an Occupational Therapist for her behaviour as she becomes frustrated with life. Pheobe has ongoing appointments at various places around the south of the state and on the mainland for her rehabilitation, early learning, paediatrics, optometrists, ear nose and thrat specialists and general checkups. She also requires tests for her hearing, brain, heart, lungs, kidneys, bones, liver and depression. We also fundraiser every 3 years to attend a Alstrom Syndrome International Clinic/Confrence in Plymouth, Massachusetts, USA which is held from the 12-16 of May this year. Pheobe loves to attend this event because her condition is so rare it's the one chance she gets to spend time with other people struggling with this disease and feel normal. With the constant exspence of Pheobes ongoing medical treatment that is required to keep her condtion at bay and the modifications of her home needed to make it more accessible being able to afford the trip to the USA is going to be a streach on the family financially costing in excess of $10,000 and it's only been through the generosity of the local community that has made it possible for family to make the journey in the past. Pheobe has endured so much her whole life and she is only 12 years old and has alot more to come. It would mean the world to her parents and they would be eternally grateful to be able to take their little angle on this trip so we all hope you can help make this dream a reality. Thanks you all so much for taking the time to read Phoebe’s story and make a donation it really does mean the world to Phoebe’s family and the rest of us on the fundraising team to know that compassionate and generous people are willing to help make Phoebe’s wishes a reality. If you could share Phoebe’s story on your Facebook page that would also be a great help to our cause that would be greatly appreciated. Everyone deserves a chance in life. Sending you lots of positive energy from the UK Phoebe! I hope you get to go this year.